Our customers have experienced great value services that led to an increase in their competitiveness. 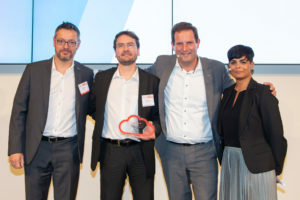 Once again this year Oracle has acknowledged this as well as our strong commitment and performance by rewarding us with the Partner Of The Year Award. Big thanks to Sandhya Prabhu, Bas Diepen, Yann Aubry and Pascal Carrano for their outstanding trust and support!